Vitamix blenders are the leading high end blender on the market. Get total control of your blending experience from thick purees to smooth as silk smoothies. We carry both Vitamix Commercial and Vitamix Home models. Vitamix Home Blender warranties vary from 5 to 10 years. Vitamix Commercial Blender warranties are typically 3 years. 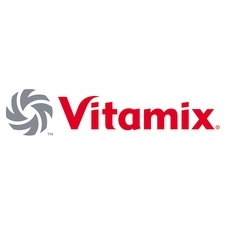 Harvest Essentials offers free shipping on all Vitamix Blenders, order today! I have used this blender for soups, smoothies, hummus and lots of other things and I have never been so pleased with a product as I am with this blender. We have had "traditional" blenders in the past but this is so much better and is worth the extra cost. I have wanted a Vitamix for years, after researching the various models and prices I decided on the top of the line model 7500. Harvest Essentials had the best price and shipped it free, arriving within two days. I could not be happier with the product and shopping experience. I will use this retailer again. Five Stars! I have only had my Vitamix for a couple weeks now, but have already used it for so many things. It blends much better than my old blender, I love the heavy-duty quality of it, and I was thoroughly impressed by the ability to make hot steamy soup in 10 minutes! I LOVE MY VITA MIX!! I have had my VitaMix for years. I was lucky enough to buy it at a garage sale for next to nothing. It was brand new and it had never been out of the box. I use it every single day!! I tried to talk the kid out of selling it but he said "Listen lady, either you want it or you don't" ~ I handed him the $$$!! I still want the shorter container for it so it fits under the counter. I LOVE MY VITAMIX!! You will never be sorry you bought one!! really happy with this purchase. We've had other blenders before and they always busted after 12-18 months. So I figured I'd invest and go with this one. I think it may be the last one we have to buy! After my last of many mid range blenders konked out with 8 uses the company told me it wasn't for blending frozen fruit.... ie bananas and strawberries in a smoothie. I decided to buy the vitamix and I'm very happy with it it's solid and works great, my only wish is that they would offer a glass pitcher. We absolutely LOVE our Vitamix! The service we received when ordering the Vitamix from your company was superior. I ordered the new Vitamix container to replace my old one that was well used and corroded with plant enzymes and hard water stains. Harvest Essentials had the best price, an easy to navigate site, good return policy and quick shipping. I am completely happy with the product and service and will be back to this store when I shop for a dehydrator. Thus far, I have always had excellent service ordering from Harvest Essentials. Quick and efficient. Order ships the next day and arrives in a day or two. Can't ask for more. I'm very happy with this blender. It makes great smoothies and is very easy to clean. The recipe book and DVD are very informative. I recently had braces put on my teeth and was told to eat soft food for awhile. With this blender I'm able to blend fruits, vegetables, and nuts to get all the nutrition I need without harming my orthodontics! Also the service from Harvest Essentials is great! Not only am I happy with the product that I bought (Vitamix VS), but I am so impressed with the service received at Harvest Essentials. I live in Costa Rica and it is hard to get latest versions of products here. I had someone bring it to be but we were so short of time to take it happen. Harvest Essentials made their magic work and it got to my friend on time before she flew to Costa Rica. Not too many companies care enough to go beyond the call of duty for their customers. Two thumbs up for Harvest Essentials!